The Simple and Secure Password Solution. 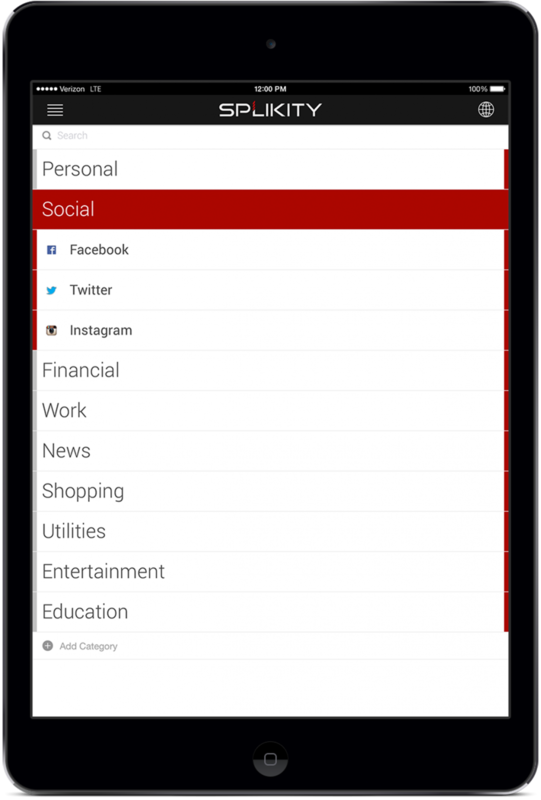 Splikity remembers your passwords so you don't have to. So you know your information is secure. We forget passwords all the time. There's nothing more annoying than getting the "Wrong Password!" alert. Splikity automatically saves your passwords, syncs them to all your devices, and enters them on websites so you don't have to deal with them anymore. Splikity is super easy to use. It's next-generation software that is built just for you. "Splikity is just so easy! I used to hate paying bills online because I could never remember my passwords. Splikity took all of that frustration away." 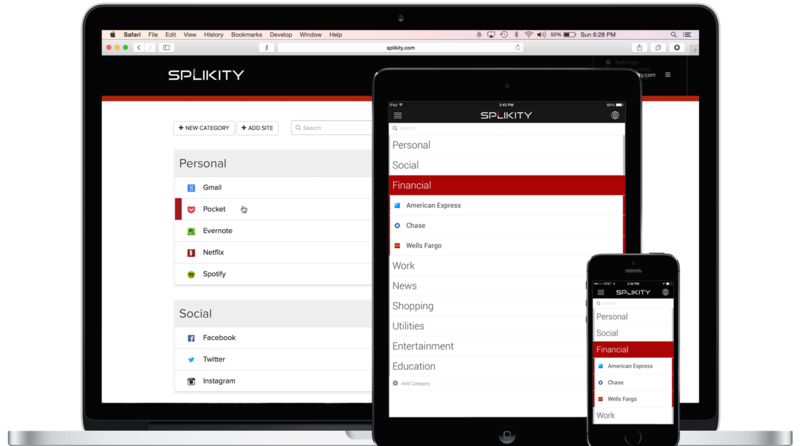 Splikity uses military-grade encryption so your passwords will be safer than ever. Only YOU can access them. With Splikity, only you can access your passwords because Splikity uses military-grade encryption - not even Splikity has the key to your encrypted data. With Splikity, your passwords will be safer than ever. How do you manage your passwords? Do you write them down, use the same password, or save them to your browser? If so, your accounts are at risk online. Splikity provides the security you need to keep your online accounts safe: it automatically creates strong, unique passwords for every account with our automatic password generator. "Being a mom, I'm on the go all the time. It seems like I'm never home. 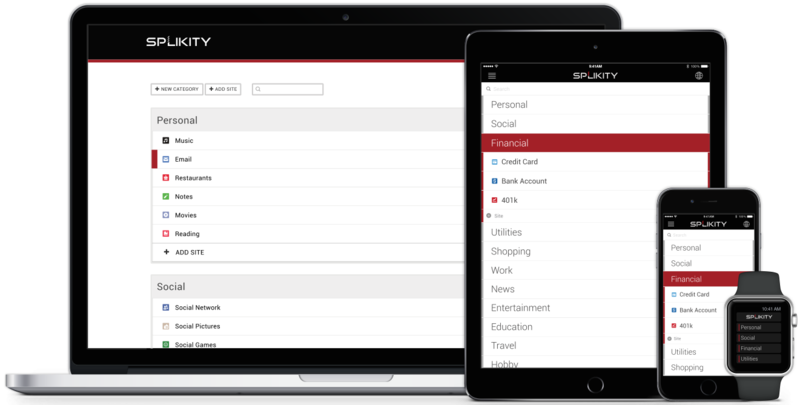 Splikity gives me the peace of mind that I can access my important accounts anywhere, any time." Everything you need, anywhere you go. We know that you're always on the go. You don't have the luxury of waiting to get home to find the password to pay that one bill. With Splikity, you don't have to wait. Syncing with Splikity is simple. 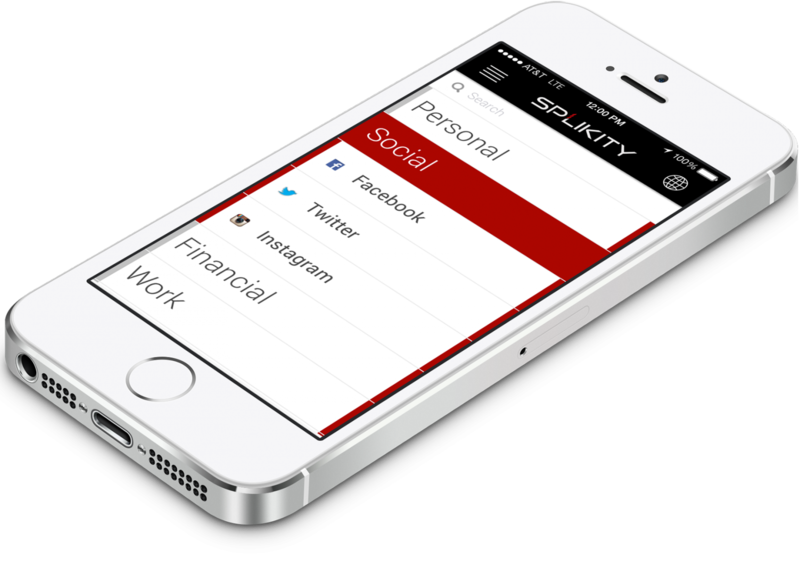 Splikity automatically and securely syncs all of your passwords to all of your devices so you can access it everywhere. "I never knew the risk before - I was doing everthing wrong: I used the same password across a ton of websites, wrote them down and I saved passwords to my browser. All of these made me a huge target for hackers. Now with Splikity, I don't worry because I know my passwords are secure." © 2015 Splikity. All rights reserved.